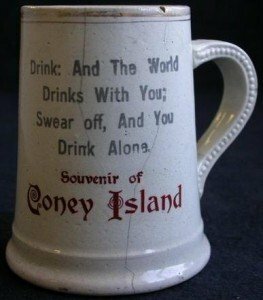 In May 1654, the early settlers of Gravesend, Brooklyn purchased what is now known as Coney Island from the local Native Americans. Back then it was just a beach, but by the 1840s it had morphed into how many of us know it now: a vacation getaway right in our own city. 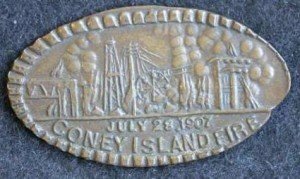 Roads and steamships around that time made travel time from New York City around two hours, making Coney Island an accessible beach destination for anyone. By the 1920s it was even more popular, after the subway made its debut. But visitors weren’t content with just beaches and hotels. 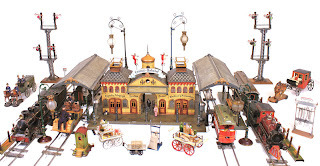 There were games to be played, rides to be ridden, and souvenirs to take home! 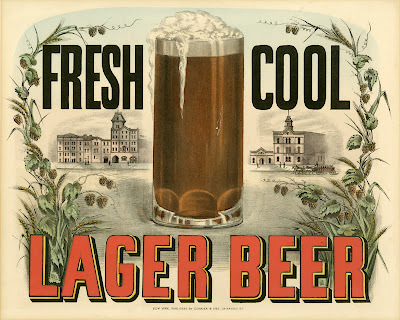 Here are a few from the New-York Historical Society&#8216-s collection. 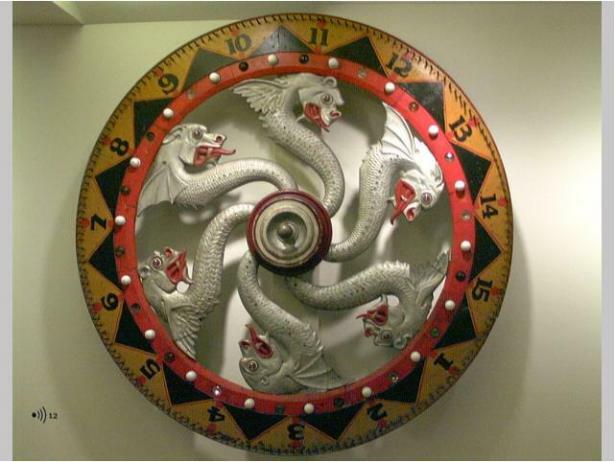 The gambling wheel above has got to be one of the coolest looking items at the New-York Historical Society. Amusement park operators at Coney Island tried to keep gambling out, but people were still drawn to the bingo parlors, dart games, and to wheels like this one, made around 1911. These wheels distilled gambling down to a simple game of chance, without any complicated rules to learn beforehand. Perfect for a quick distraction before heading back to the beach. Of course everyone wanted to bring something home to prove they were there. 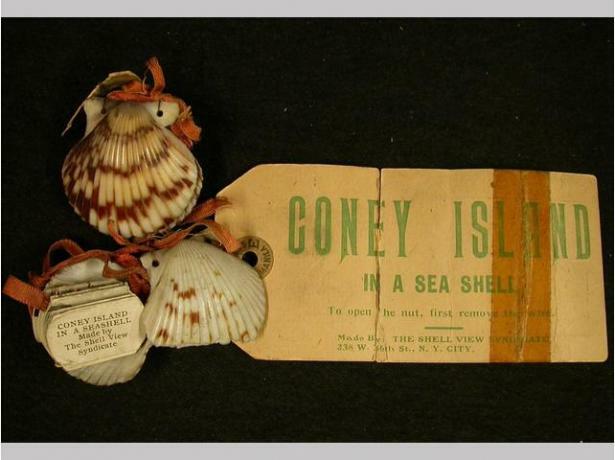 The souvenir sea shell above is an accordion folded booklet with several photos of Coney Island sites including Luna Park, the Promenade, the Circle Swing, the Arcade and the Elephant Ride. This pressed penny “commemorates” the Coney Island Fire of 1907, though I’m not sure why anyone would want to commemorate that! On July 28, 1907, Steeplechase Park burned to the ground. The fire began in the Cave of Winds, and according to the New York Times caused $1.5 million in damage. Owner George C. Tilyou posted this sign outside the park: “To enquiring friends: I have troubles today that I had not yesterday. I had troubles yesterday which I have not today. On this site will be built a bigger, better, Steeplechase Park. Admission to the burning ruins &#8212- Ten cents.” It fully reopened in 1909, and remained in business until 1964. Jaya, You write about wonderful happenings of the past, reminding us to live our days with the same vitality. Someday, somebody will be writing about us. 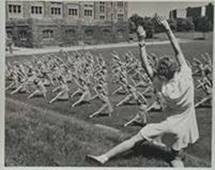 Thank you for these lovely snapshots of long ago.